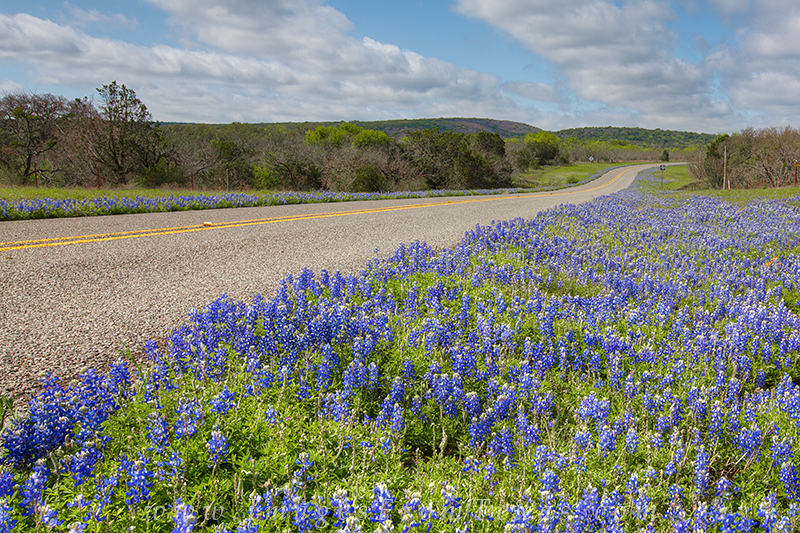 This Texas Hill Country road - CR 3347 - offered a brief display of bluebonnets in the spring of 2013. While the wildflowers were sparse this year, a little blue could be found if you drove around enough! Photo © copyright by Rob Greebon.